When complete, Garden City Terminal will have a total of 180,000 feet of rail, 18 working tracks and the capability of building 10,000-foot unit trains on terminal. This will allow GPA to bring all rail switching onto the terminal, avoiding the use of nearly two dozen rail crossings – including those on Ga. Highways 21 and 25 — for improved vehicle traffic flow. The Terry College of Business study found that maritime trade amounts to $44 billion in state gross domestic product, or 8 percent of Georgia’s total GDP. Business conducted through the ports resulted in $5.9 billion in federal taxes, $1.4 billion in state taxes and $1.5 billion in local taxes, according to the report. “The findings are a testament to the powerful, positive impacts that trade through Georgia’s ports have – supporting not only business opportunity, but important infrastructure and services funded through tax proceeds on every level of government,” said GPA Board Chairman Jimmy Allgood. In other business, the GPA Board heard a report on February trade through GPA terminals. In Brunswick, total auto and machinery units were up by 13.2 percent in February (5,648 units) for a total of 48,501. “We are pleased to see our Brunswick facility performing so well,” Lynch said. In terms of total tonnage crossing all docks and twenty-foot equivalent container units, last month was the busiest February on record. The GPA handled 2.9 million tons of cargo (up 1.5 percent) and 341,093 TEUs (up 3.2 percent) over the 28-day period. For the fiscal year to date (July 2017-February 2018), the GPA has handled 23.1 million tons of cargo, up 1.56 million tons, or 7.3 percent. In containerized trade, the Port of Savannah has moved 2.73 million TEUs, up 212,348 or 8.4 percent. Find print-quality images of Georgians in port-supported jobs here. Georgia’s deepwater ports and inland barge terminals support more than 439,000 jobs throughout the state annually and contribute $25 billion in income, $106 billion in revenue and $2.9 billion in state and local taxes to Georgia’s economy. The Port of Savannah handled 8.5 percent of U.S. containerized cargo volume and 10 percent of all U.S. containerized exports in FY2017. At the 50th annual Georgia Foreign Trade Conference Monday, GPA Executive Director Griff Lynch reviewed the strategic plan for Georgia’s ports that will allow for 10 million twenty-foot equivalent container units, 1 million rail lifts, and more than 1 million auto and machinery units per year. Since Gov. Deal was first elected in 2010, trade through Georgia’s ports has grown from 2.8 million TEUs to more than 4 million TEUs in 2017. Ro/Ro cargo has expanded from 411,000 units per year to more than 640,000 units, and cargo crossing all docks has grown from 25 million tons in 2010 to 35 million tons in 2017. “Under the governor’s leadership, Georgia and the GPA have made incredible strides to prepare for the evolving demands of global trade,” Allgood said. Lynch announced that Savannah’s outer harbor dredging will be finished in March, bringing the Savannah Harbor Expansion Project to 50 percent completion. Deepening the inner harbor should be complete by late 2021, allowing Neo-Panamax vessels to take on more cargo and transit the river with greater scheduling flexibility. The GPA plan includes three elements for success – space, infrastructure and connectivity. To accommodate additional warehousing, the Authority has opened five parcels of land at its Savannah International Trade Park for private development. Only five miles from Garden City Terminal, the site is quickly expanding to add up to 5 million additional square feet of distribution space on five 100-acre parcels. Savannah, Ga. – Four additional Neo-Panamax cranes sailed into the Port of Savannah last week, with a 50- by 100-foot American flag across the side. Once commissioned, the new cranes will bring Savannah’s fleet to 30. Six additional cranes will arrive in 2020. When all are commissioned, the upgrade will allowthe nation’s largest single container facility to move nearly 1,300 containers per hour. Chief Operating Officer Ed McCarthy said the advantage of these new cranes will be multiplied by several other ongoing infrastructure improvements, including the Mason Mega Rail Terminal. 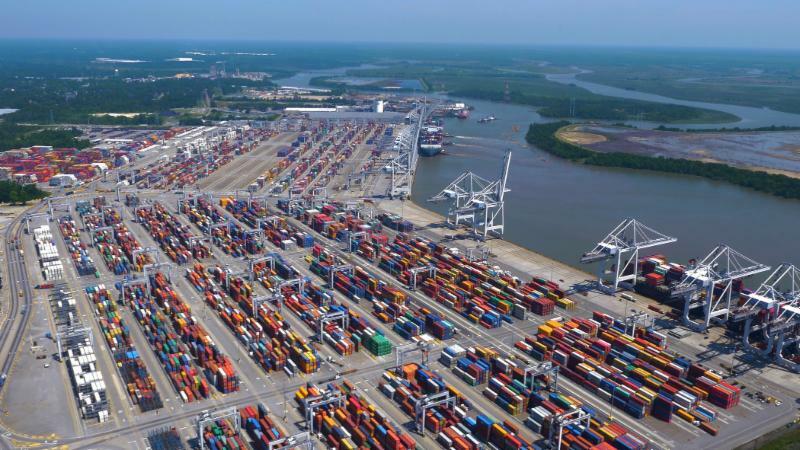 That project will double the Port of Savannah’s annual rail lift capacity to 1 million container lifts, and expand the port’s reach into the Midwest. Savannah, Ga. – Nov. 13, 2017 – On the heels of reporting 32 percent growth in containerized trade for October, an all-time record for Savannah, the Georgia Ports Authority approved rail and gate expansion projects that will significantly increase capacity at GPA’s Garden City Terminal – the single largest container terminal in all of North America. In addition to record container volumes, Lynch reported to the Board that total tonnage for all terminals climbed by 25 percent, from 2.6 million to 3.2 million tons, for an additional 661,290 tons of cargo. Breakbulk tonnage, primarily the movement of lumber, steel and autos, also increased by 14.7 percent, signifying the growing strength of construction and manufacturing in the U.S. Southeast, he said. On Monday, the board approved expenditures of $42.27 million as part of GPA’s $128 million Mason Mega Rail Terminal. The project will not only expand the Port of Savannah’s on-dock rail capacity by 100 percent, but position Savannah to rapidly increase service to an arc of inland markets from Memphis to Chicago. A total of $90.7 million has been allocated to the project thus far. Construction is slated to begin next month and be completed by the end of 2020. The board also approved a $13.2 million project to expand the existing Gate 8 at Garden City Terminal. The addition will help the GPA seamlessly absorb future growth and offer a better link to the Jimmy Deloach Parkway, which provides a direct truck route to Interstate 95. The project will expand the terminal’s gate infrastructure by 12.5 percent for a total of 54 truck lanes. In Brunswick, Lynch said, Colonel’s Island Terminal handled 56,492 auto and machinery units last month, for growth of 21 percent or 9,811 units. Container tons grew by 8.1 percent, or 543,761 tons, to reach 7.23 million tons for the quarter ending Sept. 30. During the annual Savannah State of the Port address held last week, Lynch outlined an infrastructure improvement plan to accommodate strong growth, expand existing markets and develop new ones. Included in the plan is the purchase of 10 additional ship-to-shore cranes, for a total of 36. Four cranes will arrive in 2018, and the final six by 2020, allowing Garden City Terminal to move 1,300 containers per hour on and off vessels. Additionally, the Authority’s $128 million Mega-Rail project will increase rail lift capacity at Garden City Terminal to 1 million containers per year by 2020. The project will add 97,000 feet of new track, including 18 new working tracks, and bring all switching on-terminal. Better accommodating trains up to two miles long will position the Port of Savannah to provide faster service to the U.S. Midwest. In 2018, the GPA’s Appalachian Regional Port, an inland terminal in Chatsworth, Ga., will open for service. The CSX-served container yard will expand the Port of Savannah’s reach into Tennessee, Alabama and Kentucky. Also in the coming year, the GPA will add six truck lanes at Garden City Terminal for a total of 54 lanes, a 12.5 percent increase. Gate Operations will resume normal business at 6 a.m., Wednesday, Sept. 13, 2017. Vessel Operations will resume at 7 p.m. Tuesday, Sept. 12, 2017. All Hazardous and Reefer receiving will resume normal operations. 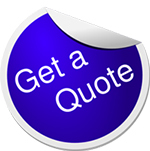 Export Early Receiving will be managed closely. All 9 day windows will continue, but only 1 vessel in each service will be open for receiving at a time. This will be reviewed on Monday Sept 18th for changes. Gate Operations will resume normal business Wednesday 0700 Sept 13, 2017. No power at either location. Re-entry to Glynn County – State Patrol is controlling re-entry points and critical personnel access only at this time. Gate Operations will resume when officials provide re-entry. Vessel Operations (RORO) may resume when access is allowed and power is restored. The GPA will keep you all posted about changes in these actions as operations resumes. Please stay safe. Watch the GPA website at gaports.com or text “IRMA” to 888-777 to receive updates related to storm recovery. Our hearts go out to the people of Florida, Georgia and South Carolina who are being impacted by Hurricane Irma. At approximately 2:45 this afternoon the Savannah River crested below our docks at the Garden City Terminal, and we are happy to report no water damage as a result of the storm. In addition, hurricane straps installed on our empty containers and ship-to-shore cranes prevented any cargo, crane or other infrastructure damage. Assessment of our other facilities including Brunswick are currently under way. GPA’s critical workforce will be returning tomorrow (Tuesday) morning to prepare the terminal for cargo operations. Throughout this evening and tomorrow morning we will be working with our many logistics partners to determine re-opening of the port and river channel. As of now, we expect truck gates to resume operation Wednesday morning. We would like to thank the excellent leadership of Governor Deal and his emergency management team as well as local responders who have and continue to work tirelessly to keep Georgia’s citizens out of harm’s way. Please check our website, gaports.com, and text ‘IRMA’ to 888-777 to sign up for updates. Gate Operations will continue until close of normal business Friday Sept 8, 2017. All Hazardous and Reefer receiving will be discontinued until reopening. Export Receiving will be managed closely. All 9 day windows will continue, but only 1 vessel in each service will be open for receiving at a time. This will remain in effect until further notice. Empty Receiving and delivering will cease. The opening of the GPA terminals is dependent on Hurricane path and post facilities assessment. For further communications please pay attention to the GPA website www.gaports.com or if you would like, text IRMA (in all caps) to 888777 to receive updates throughout the hurricane. We will keep you all posted about storm actions and reopening plans. Please stay safe. Savannah, Ga. – Sept. 7 , 2017 – In response to Hurricane Irma, the Georgia Ports Authority will cease operations at the Ports of Savannah and Brunswick, effective Saturday, Sept. 9, through Tuesday, Sept. 12. Truck gates will close at 6 p.m. Friday in Savannah, while vessel operations will end at midnight. The Port of Savannah will not be accepting empty container returns Friday. For text updates on the GPA’s storm response, text “IRMA” to 888777. On the web, watch gaports.com for updates, or follow the GPA on Twitter at @GaPorts. September 7, 2017 / 2:15 p.m.
Georgia Gov. Nathan Deal has extended his State of Emergency declaration to include 24 additional counties. Accompanying the new declaration is a mandatory evacuation order effective 8 a.m. Saturday, Sept. 9, for all residents of Coastal Georgia living east of Interstate 95. According to a statement from the governor, the mandatory evacuation will be a phased evacuation at the direction of the Georgia Emergency Management and Homeland Security Agency in cooperation with county emergency management agencies. GEMHSA will institute contraflow on Interstate 16 at 8 a.m. Saturday, with all lanes of traffic flowing westbound to facilitate the evacuation. Gov. Deal has called up 5,000 Georgia National Guardsmen to assist in hurricane preparation and response efforts. Appling, Atkinson, Bacon, Brantley, Bryan, Bulloch, Burke, Camden, Candler, Charlton, Chatham, Clinch, Coffee, Echols, Effingham, Emanuel, Evans, Glynn, Jenkins, Jeff Davis, Liberty, Long, McIntosh, Pierce, Screven, Tattnall, Toombs, Treutlen, Wayne and Ware. September 7, 2017 / 1:00 p.m. According to storm track models issued at 1 p.m. by the National Oceanic and Atmospheric Administration, Hurricane Irma is forecast to turn toward the north Saturday afternoon or night. On the latest forecast path, Irma is expected to pass over or near southeast Florida on Sunday, then toward the Georgia and South Carolina coasts very early next week. Hurricane Irma may begin to directly impact Georgia on Sunday, and impacts will likely continue into Tuesday. Due to uncertainty regarding the exact track and intensity of Irma as it approaches Coastal Georgia area, the National Weather Service cannot yet precisely pin down the magnitude or location of the impacts. However, the Weather Service advised residents to prepare for the potential for a major, land-falling hurricane late this weekend into early next week. September 7, 2017 / 10:00 a.m.
As of 10 a.m., Sept. 7, the U.S. Coast Guard has set the port readiness condition for the ports of Savannah and Brunswick at WHISKEY based on projections of gale force winds arriving within 72 hours. The Ports of Savannah and Brunswick remain open and operating. September 6, 2017 / 2:31 p.m.
Irma continues moving towards the US East Coast. Chatham and Glynn counties remain in the potential landfall cone. Please take precautions. September 6, 2017 / 10:59 a.m. The Chatham Emergency Management Agency has moved to Opcon 4 per the County Hurricane Plan. GPA continues to monitor hurricane Irma. Acting on a recommendation from the state’s Emergency Operations Command in anticipation of Hurricane Irma, Gov. Nathan Deal today issued a state of emergency for six coastal counties. This emergency declaration includes Bryan, Camden, Chatham, Glynn, Liberty and McIntosh Counties.